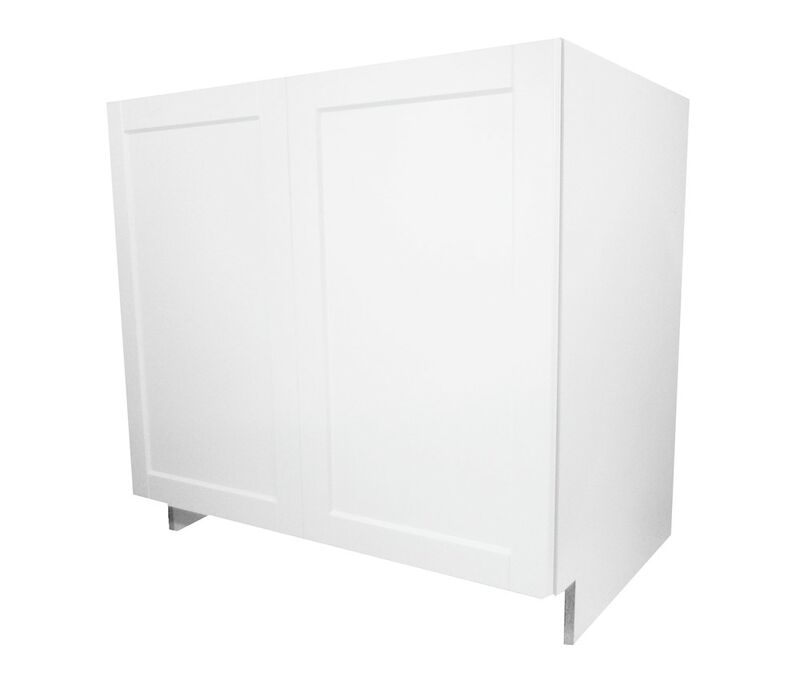 33" Full height base cabinet featuring soft close doors, cabinet sides are color matched to the door for a finished look where exposed. The cabinets are constructed with 5/8" furniture grade melamine and a sturdy steel cam and wood dowel assembly. The integrated toe kick and 1/8" hardwood back board make these cabinets extremely sturdy and durable.